This is the first summer that I am not working full time since PV was born. We are both looking forward to spending the summer doing fun things together. One of the activities I hope to do with her is spend time in the kitchen. I want to teach her some basics, cook and bake together, and try some new recipes. I might even designate one night her night to cook supper! 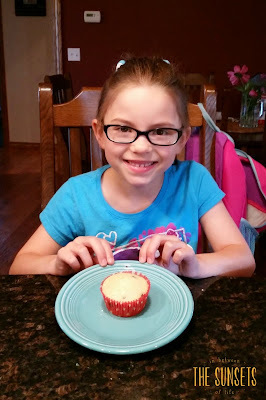 As you can tell from the title of the post I am creating a new series to include our summer kitchen activities! It is going to probably be random but they will all be named Entertaining Kitchen - Mother/Daughter Summer Series. 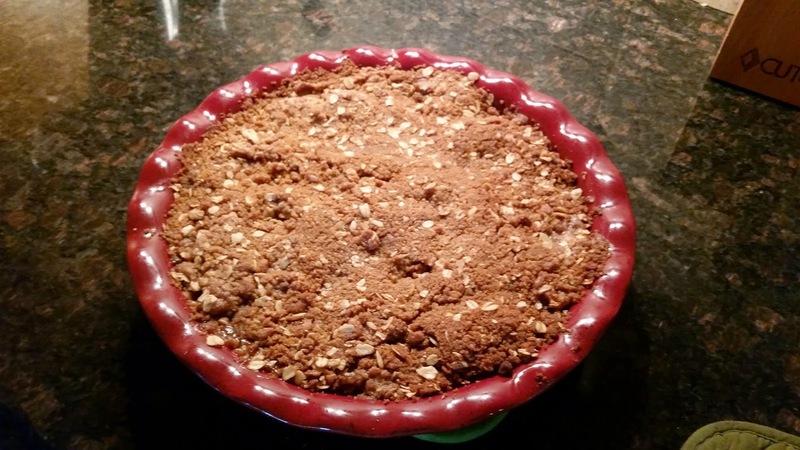 Today we started by trying an Apple Crisp with Oat Topping recipe. You can find the original recipe over at Allrecipes.com. My daughter loves apples, cinnamon, and sugar. Separately! She did take two bites with pushing from me and still disliked it. The kid is crazy I think! Her Dad and I enjoyed it with ice cream! Let us know if you try this recipe & what you think! Don't fall off your chair. 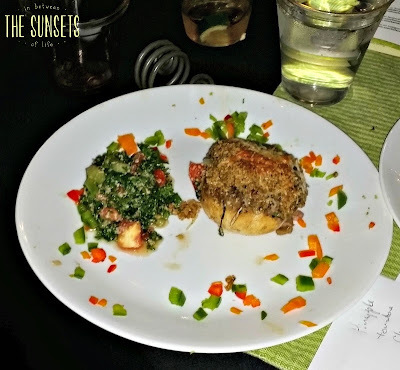 Yes I actually wrote a post over here at the Sunsets! I had to, these are too easy and good not to share! I've made them twice for PV now and she loves them. I suppose it's because there are chocolate chips involved! 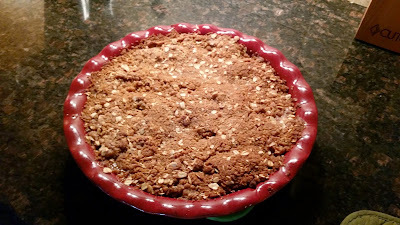 Here's the link to the original recipe from Allrecipes.com. I love that website! Do you ever try recipes from there? Preheat oven to 350 degrees. Line 12 muffin tin cups. In a large mixing bowl, combine the flour, baking powder, sugar and salt. Stir in the milk, egg, butter and chocolate chips. Pour batter into prepared muffin cups. By the way, I only used about 1/2 cup to 3/4 cup chocolate chips. The entire cup was too much for us! Seriously my kiddo loves them and I bet yours will too! 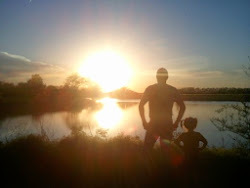 Milton & I had an evening off the farm recently! We attended an event called Zest & Zing! When I saw the advertisement for it I jumped at the chance to attend for a couple reasons. One was the fact that there was a chef vs. chef competition. 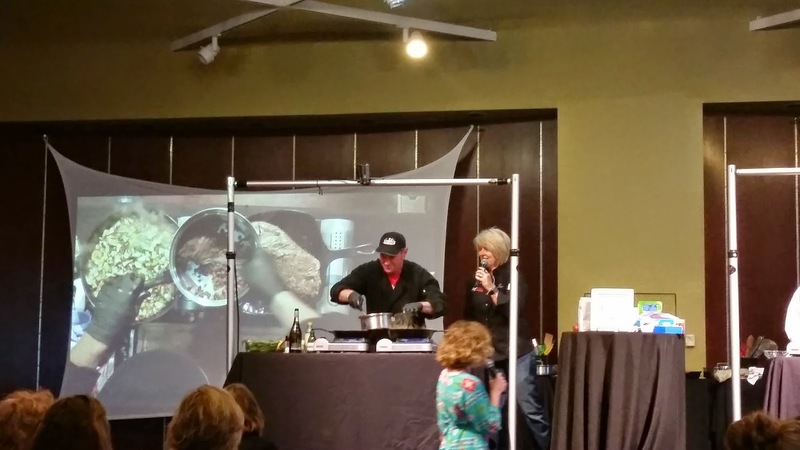 The other is it brought farmers and foodies together! Milton and I both enjoy watching these type of events on television together and watching one in person was even better! 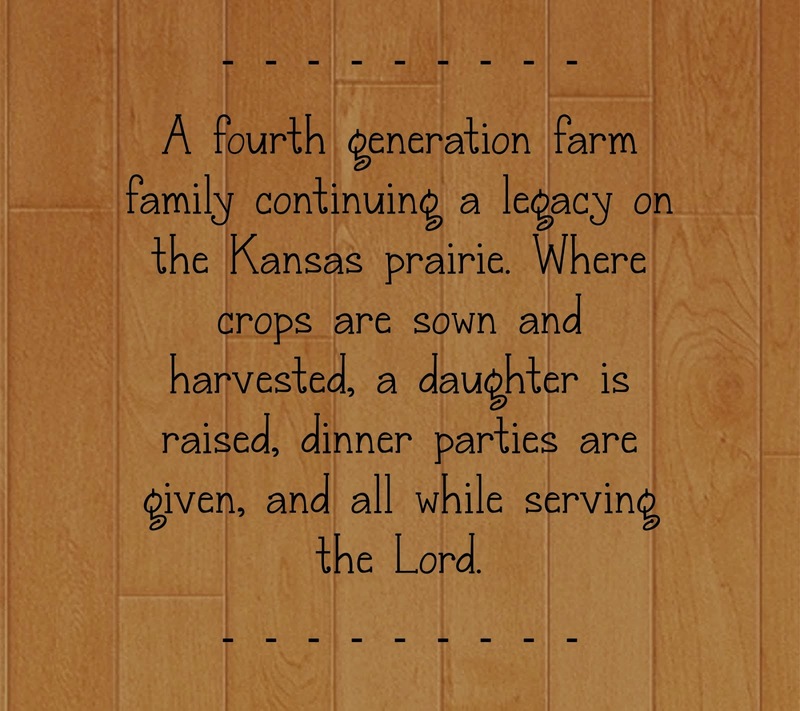 It was sponsored by Kansas Farm Bureau, United Soybean Board, and the Kansas Soybean Commission. The evening included delicious appetizers, a couple free drinks, and a pretty sweet swag bag! But the best part was the chef vs. chef competition and hearing the farmers speak about their farms. The two chefs had very different styles so I am glad I was not the judge! We watched Chef Paul, who is the Executive chef at the Hyatt, create with smoothness as if taking care of a well oiled machine with each dice and tenderizing. He prepared in round one a stuff flat iron steak, it looked awesome! Chef Patrick, who owns the Doo Dah Diner, worked hardily at creating a flat iron steak with a hash with beautiful egg for the topping! It looked hearty and something right from his diner, true to his form! 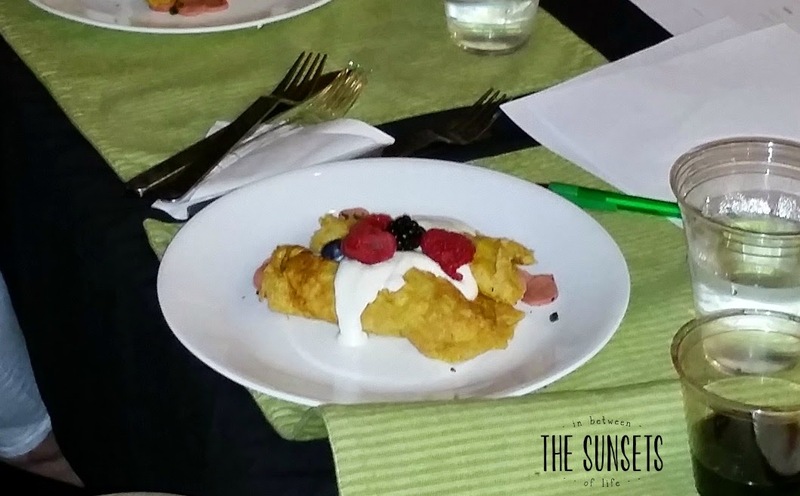 The second round included wheat germ, and the surprise ingredients were jalepenos and vienna sausages. Yes you read that right folks, vienna sausages! Chef Patrick made a stuffed mushroom with the ingredients. The two master of ceremonies were the following individuals. They were Chef Alli and Katie Stockstill. You can find their websites by clicking on their names. It was nice to listen to them and they kept the show going! As the chefs prepared their dishes, the farmers were able to talk to us about life on their farms. They also answered questions and welcomed visitors to the farm. This type of event I believe is good for both agriculture and non-agriculture folk. It brings insight into what one may not know on both sides. 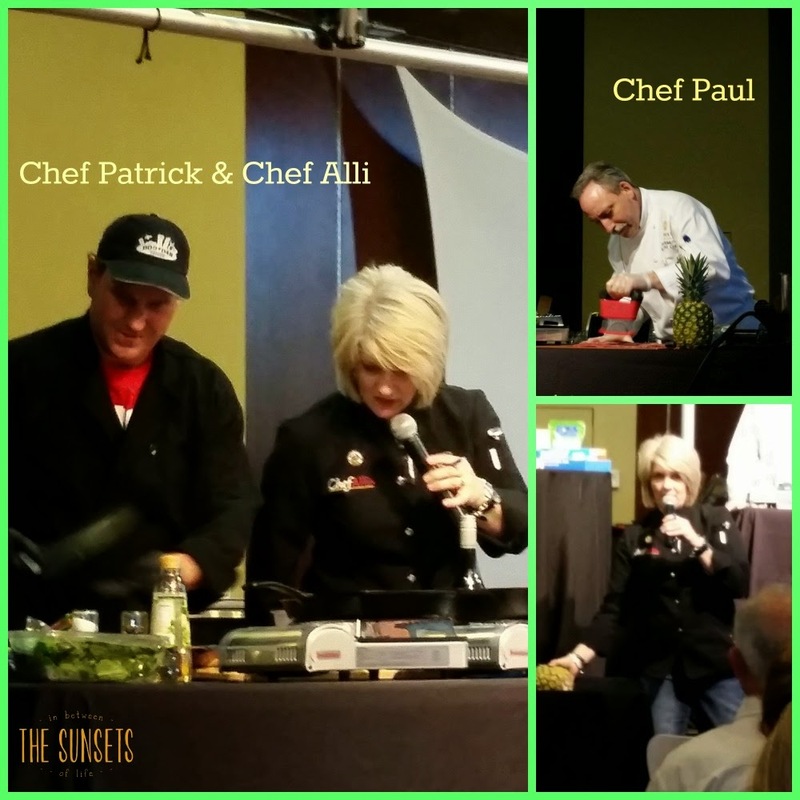 There were three judges and at the end of the evening they announced the chef that had dazzled their tastebuds the best! Chef Patrick of DooDah Diner won! I was secretly rooting for him because we had just ate at his diner the Saturday before for the first time! 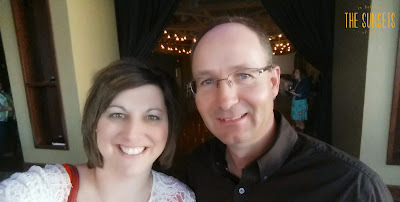 The evening was fun and I got to see one of my friends while there and spend time with my husband away from the farm! 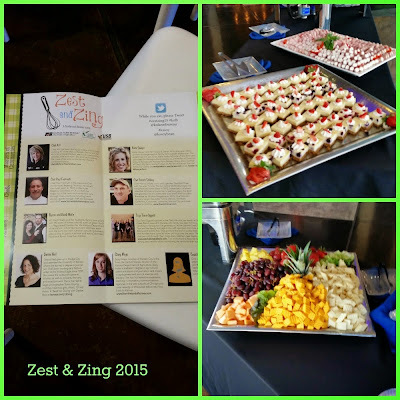 I highly recommend you ask a couple friends and go to the next Zest and Zing event! You won't be disappointed!